Add life to your mattress and comfort to your life. 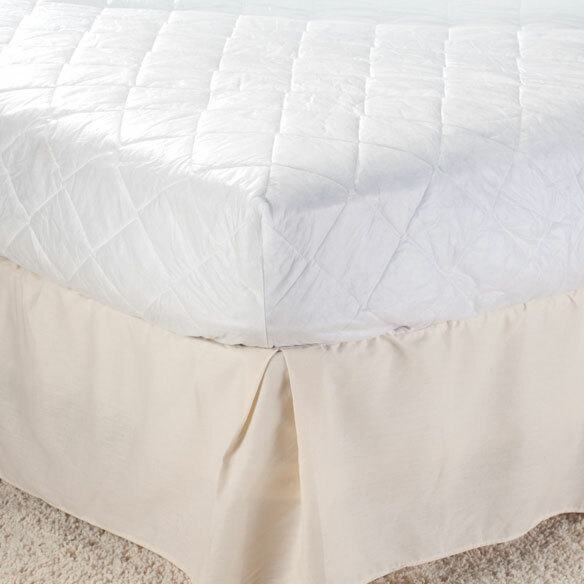 Stretch-to-fit skirted mattress pad hugs like a sheet, so it stays in place for all-around protection. 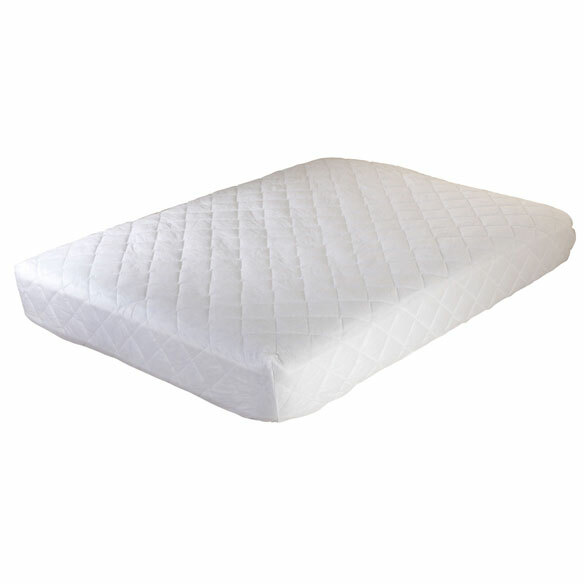 Hypoallergenic padded surface features 7 oz. of fill for every square inch, adding cushioned comfort to help you sleep. Machine washable for easy-care convenience. Included leg cover is a great idea -- hope it works as advertised!